It is nice to be recognized. 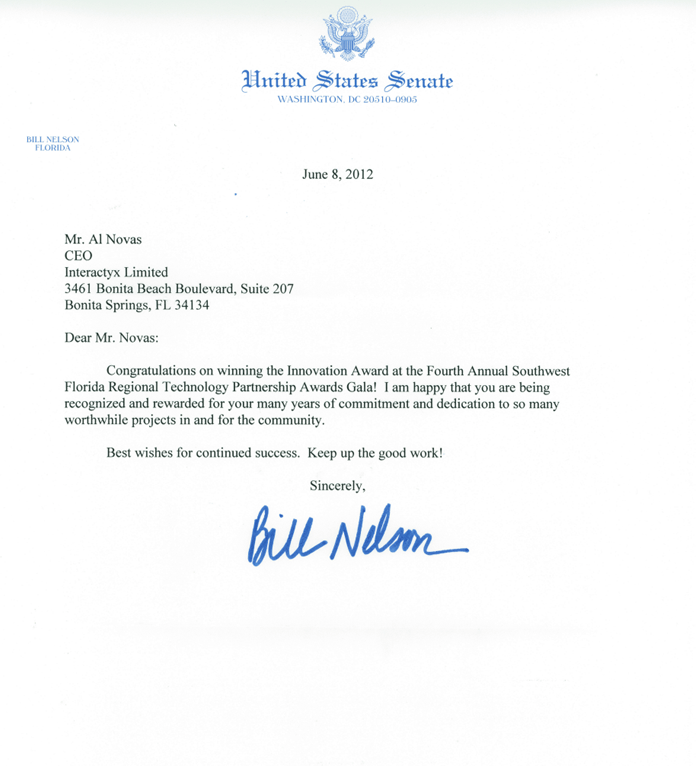 Senator Bill Nelson (FL) recently stated, "Congratulations for winning the Innovation Award at the Fourth Annual Southwest Florida Regional Technology Partnership ..."
Recently, Interactyx Limited, the developer of the award-winning social learning management system (LMS) software, TOPYX®was chosen by the Southwest Florida Regional Technology Partnership, a member of Lee County, Florida’s Horizon Council, as the winner of the fourth annual technology awards in the “Innovention” category. Thank you, Senator! We are honored by your letter and will continue to change the face of learning management.